Cybersecurity casts a long shadow over networks of all kinds, from banking and retail businesses to government, energy, healthcare, utilities, and large-scale industrial manufacturing operations. Hardly a day passes without dire headlines warning of the latest consumer, commercial or government data breaches over the Web, as clever hackers employ myriad phishing schemes, viruses and malware that exploit corporate network vulnerabilities and, quite often, the gullibility of users unaware of cybersecurity dangers. 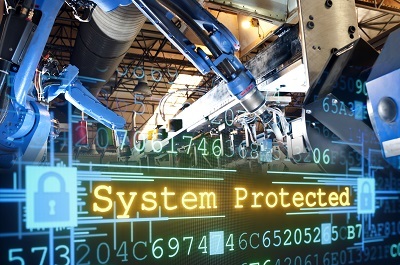 With more factory assets getting connected to the Web, particularly with the coming explosion of Internet of Things (IoT) devices, today’s manufacturing management must look for rock-solid technologies for securing their factory-floor machinery and the mission-critical intellectual property assets that now often reside in cloud-based software. Hack attacks on industrial manufacturing networks have been more rare, with the highest-profile case being the Stuxnet worm that infected the industrial equipment controlling Iranian nuclear centrifuges about five years ago. Since the attack, it has been widely speculated that it was the result of work by the US and Israel. In that case, Stuxnet was a zero-day exploit worm designed to embed computer code into the Siemens Simatic PLCs and STEP 7 software used to control the Iranian centrifuges. The worm caused the centrifuges to run improperly and eventually damaged the systems. More recently, a German steel manufacturing plant’s operation was severely hampered last year and shut down after cyber thieves breached its security defenses. The German steel mill’s blast furnace was compromised by malicious code that entered the network through the company’s business systems, causing an eventual plant shutdown. Industrial cyber attacks have largely flown under the radar, without garnering the widespread reporting required for those on financial, government and other targets. “Most manufacturing companies are not required to publish information about cyber attacks. 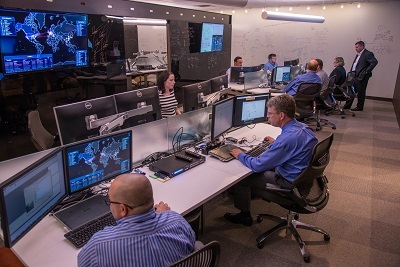 However, the Department of Homeland Security ICS-CERT does maintain information, published on an annual basis, on cybersecurity attacks on industry,” said Rajiv Sivaraman, vice president and Head of Plant Security Services, Siemens US Digital Factory (Norcross, GA). In fiscal year 2014, for example, the Department of Homeland Security publication entitled ICS-CERT Year in Review (2014) documented 245 reported incidents, he said. “Looking back at prior reports, you will find that attacks focusing on industrial networks and equipment are generally increasing in frequency and sophistication. In many cases, going to cloud-based solutions offer organizations an edge in factors including lowered costs, speed of deployment and software design. Cloud software also can offer benefits in the cybersecurity realm, especially in costs and cloud optimization. “Cloud-based software and related network technology enable more secure transmission of design data and status information,” Sivaraman said. “The likelihood of successful attacks that have the goal of stealing IP [intellectual property] can be reduced if the data is encrypted. Attacks that aim to disrupt operations, for instance by injecting false data or instructions, similarly can be reduced with encryption and other protection. With cloud-based software and good security controls, the confidentiality and integrity of design and production data can be improved. Costs are a major factor in cloud systems’ favor, particularly for any smaller to medium-sized manufacturing operation looking for securing systems in the cloud. The flexibility of the cloud gives users a real advantage, Barkley added, in dealing with the “advanced persistent threats” that can occur in cybersecurity breach attempts. “If you can rapidly switch IP addresses or networks, you disrupt that cycle,” Barkley said. To counter the cost barrier, DMDII has an open project call—the DMDII-15-13 Cyber Security for Intelligent Machines—offering up to $2 million in funding for developers to bid to supply open-source cloud-based security software. One of the manufacturing research institutes created by the Obama Administration in 2014, DMDII is working on developing an open-source software tool that will be an open-architecture communication platform, and which will enable plug-and-play functionality across the entire digital thread. 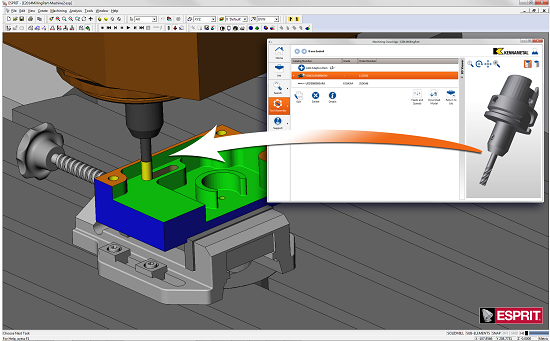 This software is called the Digital Manufacturing Commons, or DMC. “We want to provide affordable tools,” Barkley said. “Many may be more of a SaaS [Software-as-a-Service] type—low cost, one-time pass, mostly automated.” The open-source software will aim to provide more of an “à la carte” type of approach to cybersecurity, to remove the cost burden from shops that typically can’t afford enterprise-scale software projects. Affordable solutions for cloud computing are critical for smaller manufacturers looking to secure their networks. Concurrent Technologies Corp. (CTC; Johnstown, PA), an applied science research and development professional services organization, has recently worked with smaller manufacturers in the National Institute of Standards and Technologies’ (NIST; Gaithersburg, MD) Manufacturing Extension Partnership (MEP) program working in Pennsylvania. About 90% of its clients are government agencies, but CTC has started working with smaller manufacturers on projects involving the company’s cloud computing and Big Data analytics platforms, noted Vicki Barbur, CTC senior vice president and chief technical officer. Among the more promising new applications is an open-source cloud version of the Software Defined Perimeter (SDP), a “Black Cloud” system that hides data from hackers, developed by cyber and digital risk management consultant Waverley Labs LLC (Waterford, VA). While not quite a Star Trek Romulan cloaking device, Waverley Labs’ Black Cloud makes corporate or manufacturing data essentially invisible to potential hackers, moving or wrapping a company’s applications within an on-premises or in a public or private cloud, demilitarized zones (DMZ), a server in a data center, or even inside an application server. The Black Cloud concept, which has been deployed in large-scale systems at Lockheed Martin and other big manufacturers, is being adapted to an open-source model that Waverley is developing, and the company has submitted a bid for the contract with DMDII’s DMC open-source system. “If you look at the grand security practices that have come out from NIST and other agencies, they require patching, updating and monitoring systems at the infrastructure layer,” said Juanita Koilpillai, Waverley Labs’ founder and CEO. Cloud vendors do a lot of work at the network, operating system level, and at the Software-as-a Service infrastructure layer, she said, but at the Infrastructure-as-a-Service (IaaS) layer, the customer is fully responsible for securing their systems. “Therein lies the rub,” Koilpillai said. “Everyone says ‘We are more secure,’ but what piece of it is more secure? As cloud-based enterprise software has proliferated and become more popular for cost savings and other reasons, questions arose whether those cloud-secured assets are as secure as the on-premises versions of enterprise software. But many experts believe cloud software has many distinct advantages over on-premises software, including security. “It’s pretty clear that attacks happen regularly,” said Kevin Hurley, executive vice president, Technology, KeyedIn Solutions Inc. (Minneapolis), developer of the KeyedIn Manufacturing cloud-based enterprise resource planning (ERP) software. Securing cloud applications is a top priority, Hurley said, and KeyedIn employs high-end security from third-party supplier Dimension Data to lock down its ERP customers’ data. “You walk into some installations and it’s almost like a prison—some of these facilities use biometrics to enter,” Hurley said. With KeyedIn Manufacturing, users get an ISO 2700 compliant SaaS application, and KeyedIn makes sure its customers follow up on security policies, Hurley added. Customers’ data also is segregated from other customer data, and even within the client companies themselves, added Paul Leghorn, KeyedIn vice president, SaaS Infrastructure. For cloud-based PLM software developer Arena Solutions (Foster City, CA), security ranks at the top of the stack of priorities. “When we start with a customer, we actually start with how to secure their applications,” said Wenxiang Ma, executive vice president, Engineering and Operations. In addition to multiple firewalls, Arena offers users dynamic access control, allowing administrators to have a very limited number of people who can access information, Ma said. “From the beginning, we do multiple firewalls. It’s a combination of hardware and software,” he said. Arena PLM’s security model features Secure Sockets Layer (SSL) encryption, and username and password verification is provided by a hardened authentication service maintained separately from the main application service. Arena offers customers IP-based access restriction as an option, as well as a two-step authentication option, and data management security is the strongest available currently supported by browsers, using a 2048-bit RSA public key and up to 256-bit encryption. Keeping hackers at bay requires not only innovation in cloud-based designs, but also vigilance by cloud users. Performing penetration tests on cloud network security is a must in today’s world, and these tests are best done by a third party, Ma said. “We go through a penetration test with a third party, which involves an application test and a network test,” Ma said. “The third party actually sets it up, but we pre-write it and then nobody knows when it will happen.” The company usually does the network tests at least once a year. This article was first published in the December 2015 edition of Manufacturing Engineering magazine. Click here for PDF.